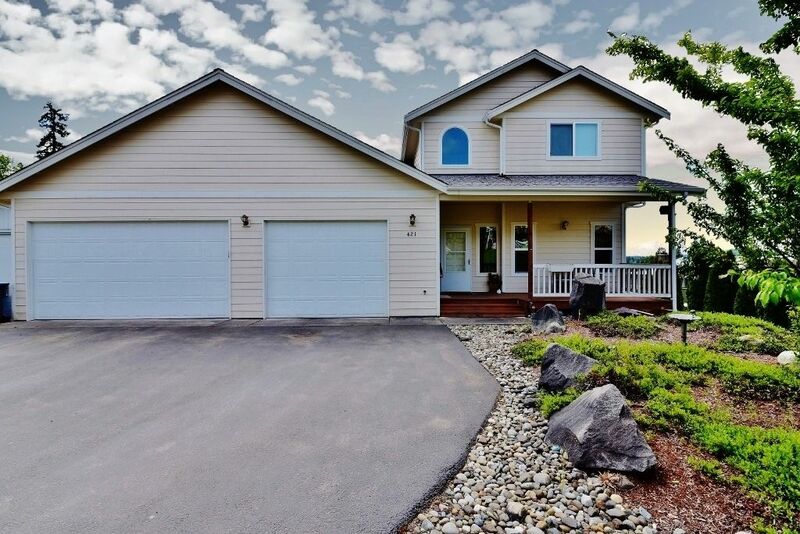 This new home features 5 bedrooms and 2.5 baths on the Kitsap Peninsula. This is the perfect home for the large family or two families to enjoy a week in the NW. Home is a short taxi or less than 10 minutes from Bremerton Ferry and 30 Minutes to Bainbridge Island ferry. The location makes it easy to drive to the Olympic Peninsula, Sequim, Port Angeles, Seattle, Tacoma. There is an abundance of things to do close by. The 5 bedrooms consist of 1 King bed, 2 Queens and two bunks. There is a great patio to sit, relax and take in the view. This home is 4 years old with all new furniture. My wife and I live in Denver Colorado with our three children. I grew up in Kitsap County and I have not been able to give it up. We spend some time in every season in the NW. We especially enjoy the fishing and water sports here. It is a great place to vacation! This home competes with the homes on the water. It is a newer home as compared to the other older and smaller homes. We like to host families who need a bit of room. This is a great place to bring your friends or family and enjoy the larger space and great views! 5 bedrooms and 2.5 baths with a nice patio and views. Great location for water sports, parks and great seafood! All the dishes and pots and pans you would need. Two steps into home but house was built with a wheelchair in mind. This is our second stay at this location! The property was exceptionally clean and well kept! It's location was perfect as our "home base" for day trips around Seattle and the Pacific Northwest! Morning coffee on the deck with peeks at the water and fishing boats leaving each morning and looking out the kitchen window to views of the mountains was perfect! There was plenty of room for our family to spread out yet come together for a meal or to watch a movie! Highly recommend this home!! Wow, Thank you for the ind words and review!!! We love hosting kind people like yourself and look forward to hosting you again in the future!!! The house was perfect. We were in town for a family wedding and it was just what we needed. Your home is beautiful with all the amenities. My family enjoyed their visit from San Antonio. They got a real Christmas tree and the children made all the decorations and there were many cookies made in the lovely kitchen. was right on with anything we needed or to answer our questions. Thank you so much for choosing our home to create great family memories!!! This home had everything we needed. We will be back! Thank you! This was a beautiful home in a very quiet neighborhood only a couple of blocks from the sound! Hello and Thank you for the nice review. We hope to host you again. Upon reservation, half of the total amout of rental is due; this is considered the deposit. If reservation is cancelled within 60 days of rental, only 1/2 of the deposit will be returned. If reservation is cancelled within 30 days of rental, none of the deposit will be returned UNLESS the property can be rented to someone else for those dates. In this event, the entire deposit will be returned.